Few businesses grow to their full potential without some form of outside investment at some stage. These are three of the most common options available, detailed to help you decide which best suits your organisation’s requirements. Should your business require an injection of finance to help it reach the next level, it may be of interest to private equity investors. In this situation, private equity groups will acquire some, if not all of a business, with the intent of providing the capital for it to grow and with the overall aim of taking out dividends and ultimately selling it on for a profit at a later date. Private equity houses are generally most interested in established businesses which have already proven their worth in the market, though those which are seen to be falling short of their true potential are of the greatest value as there is more scope for improvement and thus greater returns. Private equity tends to be the source of the largest sums invested, and in return investors will do everything to maximise their chance of success, including a full and rigorous due diligence process before a commitment, as well as the ability to install their own board members to make decisions. While venture capital falls under the umbrella of private equity, it’s a niche which attracts a particular type of investor looking for specific types of business. Venture capital investors favour young businesses with huge growth potential, often in the tech arena. The idea is to get involved early to maximise possible returns. This is far riskier for the investor as the fledgling nature of the of the business means there are fewer guarantees of success. With this in mind, the sums of money involved tend to be much lower, and involve acquiring minority stakes in a company. 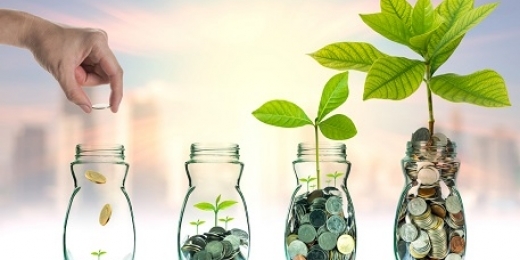 Venture capital investors take on large numbers of projects expecting the majority to either lose money or post modest returns, with a small proportion delivering big returns and making the endeavour worthwhile overall. This is great for young businesses who don’t yet have a track record with which to attract larger investors. While you will still have to prove the potential for growth and returns, the barriers to accessing this sort of finance are generally lower. Away from targeting private equity and venture capital specialists, businesses can also raise money by turning public and issuing shares on the stock market. Growth can also come through acquiring or merging with other businesses, or in some circumstances by selling out to another organisation. An IPO opens your business up to a much larger number of investors, not just the minority with the millions available to plunge into a single project. And buying or merging with a friendly business, competitor, or somebody in your supply chain may be the best way of growing whilst retaining a significant amount of control in your business. Investment banks are the middlemen who will advise, negotiate, build a structure and put in place the procedures for these situations. Some may be interested in investing directly, but it is more common for them to merely assist in the arrangements, taking a fee for their time and expertise. There are no hard and fast rules about which route to take, but a business can improve its chances of finding suitable investors by understanding the nature of each and making the right approach. If your business is gearing up for growth and needs access to external funding, talk to one of our advisors who can help explore your options.